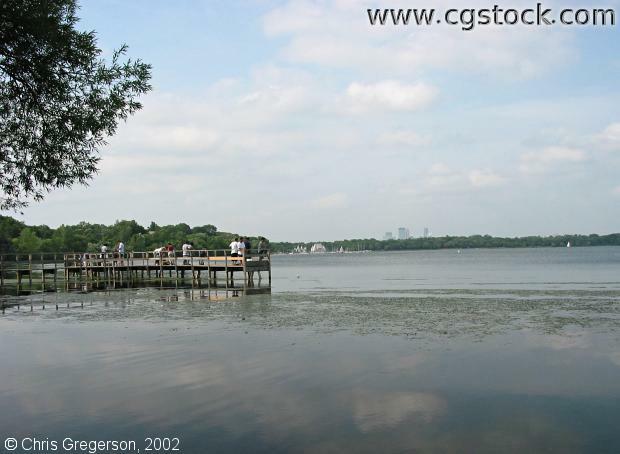 This dock is on the south side of Lake Harriet. The downtown skyline is slightly visible on the horizon. The bandshell can be faintly seen on the far shore.